When the Romans came to Britain they already had years of experience building large, impressive structures. Architecture in Britain prior to Roman rule was merely functional. The Romans transformed mundane, practical buildings into works of art. Architecture created during Roman Britain completely changed how structures would be built for years to come. The Roman period brought about the construction of the first large-scale buildings in Britain. Sadly, very little of these great buildings survive above ground except for fortifications. These include sections of Hadrian's Wall and coastal forts such as those at Portchester, Pevensey and Burgh Castle, which have survived through incorporation into later castles. Other Roman structures that are still standing, include a lighthouse at Dover Castle (now part of a church). In most cases though, only foundations, floors and the bases of walls attest to the structure of these once great buildings. Some of these buildings however, were on a grand scale, such as the palace at Fishbourne and the baths at Bath. The more substantial buildings of the Roman period adhered closely to the style of Roman structures elsewhere, although traditional Iron Age building methods remained in general use for humbler dwellings, especially in rural areas. 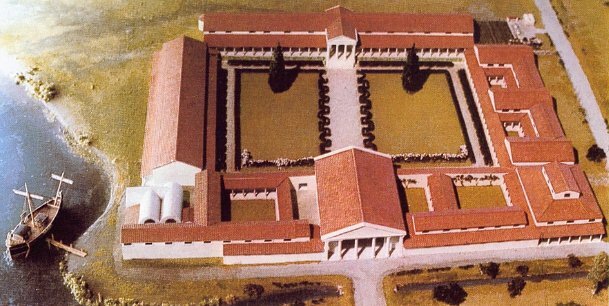 The palace at Fishbourne, once excavated, was found to be the largest villa-type building in Britain built in the first century. It had typical Roman features such as baths, mosaics, marble paving, painted decoration, and moulded stucco. It would have been considered extravagant for something built during the time period even inother parts of the Empire. Soon after it was constructed though, the palace was demolished and in its place, a new, larger palace was built. The new palace consisted of four wings arranged around a central garden. The elaborate decorative style was unlike anything else in Britain at the time. British people previously lived in more practical dwellings such as the ? ?Sround house.? ?? Some of them were big enough to house a family of twenty or more people. While the owner of this villa is still unknown, it is likely that it was built for a governor who would have had the taste, money, and resources to build such a massive and sophisticated structure. Another striking example of Roman architecture in Britain is the large-scale temple and baths complex in what is known appropriately enough today, as Bath. 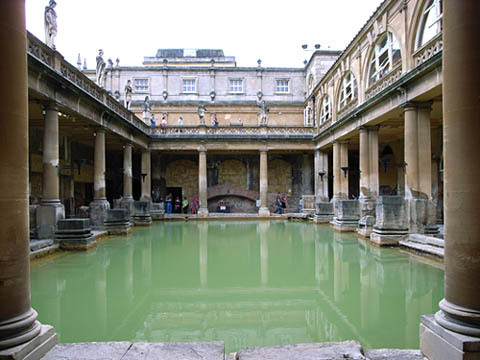 The complex surrounded a hot water spring that was dedicated to the deity Sulis (or Minerva). The spring was contained to create a pool and became the focal point of the structure. Nearby, there was also a temple devoted to Sulis and an altar where sacrifices were made. A Great Bath with vaulted ceilings was adjacent to the temple and spring. Evidence also suggests that a theatre or a Greek-style temple stood nearby. The site soon became a full-scale religious, healing, and leisure complex. This bath was the first of this size to be built in Roman Britain. The era of the Roman Republic, where the origins of Roman architecture can be traced back to the Etruscans, who migrated from Asia Minor to Italy in the 12th Century BC. The Etruscans mirrored the Greek and the Phoenician traditions -- building large temples to honour their Gods. The second era of Roman Architecture started in 27BC and is that of the Roman Empire. The Roman Empire covered thousands of miles across Europe, North Africa and the Near East. The Roman Empire built approximately 51,000 miles of paved highways across their Empire and the number of countries the Romans conquered, offered a vast number of culturally diverse people. The architecture of the Roman Empire therefore became eclectic i.e. made up of, or combining elements from. a variety of regional sources and styles. Truly the melting pot of the Ancient World. 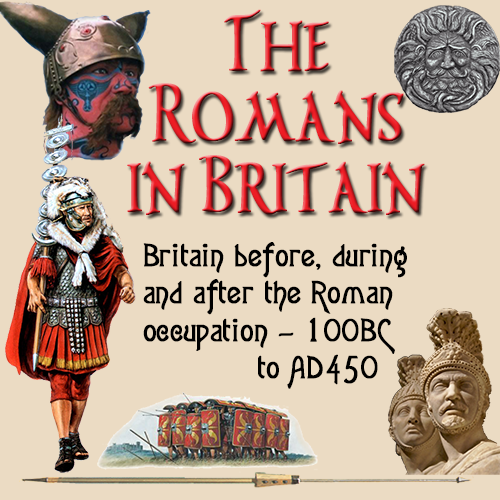 The Roman occupation of England lasted for nearly 500 years. Roman architecture and buildings left their mark on Britain. Architecture is defined as the "art and science of designing and erecting buildings." The Romans were masters of Architecture -- designing and erecting buildings! 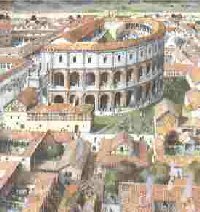 The Romans were also great castle and fortress builders These fortified bases were built as defences -- wooden stockades were erected, surrounded by ditches, wherever they camped. These march camps were Roman Architecture at its most effective. How did they achieve this? Manpower and a solid, unyielding plan of how to do things that did not change and was the same wherever they were. The art and science of Roman Architecture resulted in the building of fortresses, villas, temples, towns, baths, great walls and Roman roads, all this changing the face of Britain forever.